Learn to play Praise is Rising by Brenton Brown. Strumming patterns and a test. The program includes 10 hours of lessons, practice tracks and tests on 19 downloads. 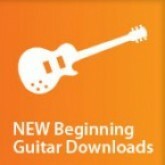 Buy all 19 Beginning Guitar lessons at the same time and a 25% discount will be applied at the checkout. 4 Training Track backing track albums (MP3 download) featuring the 10 worship songs learnt in the Guitar Workbook Songbooks. Whilst these are designed to accompany the Musciademy Beginning Worship Guitar DVDs Workbook Songbooks (which include chord charts and strumming patterns to each of the songs) they are also useful as backing tracks for leading worship and guitar practice. For every song you get two versions. One at a slowed down pace designed to help you practice the chords to and a split track version at regular speed. Why do I need to pay for these extras? 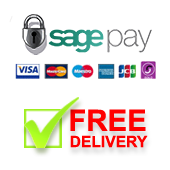 We've chosen to offer these as optional extras in order to keep the base price of the lessons affordable. The training tracks and workbooks are, however, really helpful teaching and learning aides and we strongly recommend you purchase them to accompany the downloads. Check out the customer reviews for the training tracks and workbooks to see how well other customers rate them.